In this second intermediate lesson you will get to learn the Japanese grammar for expressing your experience in the past. It's formed by using the sentence pattern of "Japanese verb (た-form) ことがある/あります" (ta-form koto ga aru/arimasu). This is a very useful grammar in daily conversation when you need to say something which you or others have experienced or something you or others have done in the past. It can also be used to ask the experience of others. Normally if you say "去年日本へ行きました" (kyonen nihon e ikimashita), it means you have been to Japan last year. This sentence is talking about your action at that moment (last year). It doesn't say anything about other thing. But if you say "日本へ行ったことがあります" (nihon e itta koto ga arimasu), you are saying you have been to Japan in the past. It doesn't matter when that happened. So long you have been to Japan previously. So if you want to mention that you have done a particular thing at a particular moment, use normal past tense. However, if you want to say you have done a particular thing in the past regardless of when you did it, use "ta-form koto ga arimasu". Note: This sentence is wrong because the time stamp kinou is not required. Meaning: I have eaten sashimi before. Meaning: I have not climbed Mount Fuji before. Meaning: I have not played Pachinko before. Although you cannot put the time stamp like "yesterday" or "last year" in this Japanese grammar, you can put in how many times you have done it in your life. In this case, make use of the Japanese counter 度 (ど - do) or 回 (かい - kai). Meaning: I have climbed Mount Fuji once. Meaning: I have played Pachinko many times. Meaning: I have not drunk alcohol even once. Please take note that 一度も (いちども - ichidomo) can only be used with negative sentence. 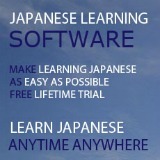 It's simple to turn this Japanese grammar into a question. 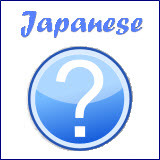 Just append the question word か (ka) at the end of the sentence. Meaning: Have you climbed Mount Fuji before? Meaning: Yes, I have climbed Mount Fuji before. Meaning: No, I have not climbed Mount Fuji before. In actual conversation, you might have used Plain form in your sentences. Therefore instead of あります (arimasu) or ありません (arimasen), you should use ある (aru) or ない (nai) respectively. 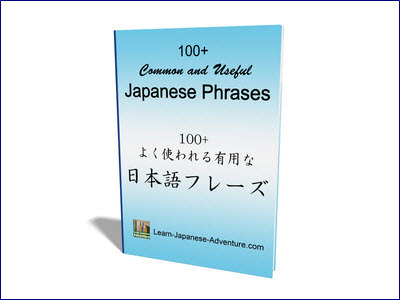 The frequency of using this Japanese grammar is quite high in conversation so read through this lesson few times until you are familiar with it.